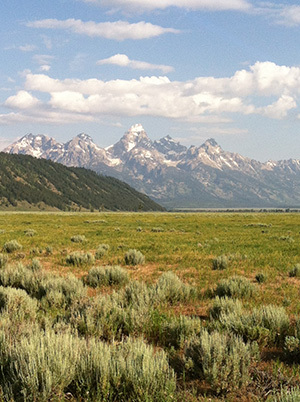 Over 97% of Teton County is preserved from development due to it being public land. 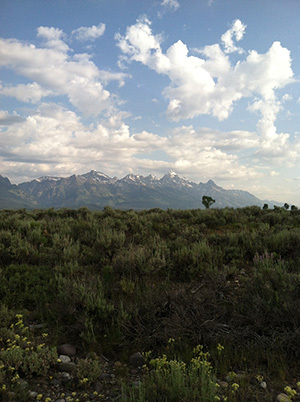 Whether it be National Forest, National Elk Refuge or National Park, observation of a Teton County Map reveals a “sea of green” surrounding the developed areas. Occasionally, “inholdings” of private land exist that can offer living opportunities that range from a small node of development surrounded by public land to the feeling of an isolated cabin in the woods (5 million acres of woods). Due to the remoteness of “inholding properties,” participants in this segment of the market have typically made the decision to sacrifice proximity to schools and shopping for unsurpassed seclusion and proximity to recreational opportunities. 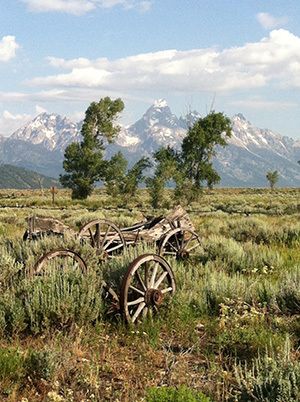 The unincorporated town of Moran is located at the gateway to Grand Teton National Park and is a quintessential example of an inholding community complete with a small elementary school house and post office. Scattered development extends east from here along Highway 287 in an area referred to as “Buffalo Valley,” in reference to the Buffalo Fork River, a Snake River tributary that is the primary drainage for the area. Located approximately 20 miles south of Moran, is the town of Kelly, Wyoming. This small town may have likely become the Teton County seat, were it not for the geological event known as the Gros Ventre slide (pronounced grow vaunt). In June of 1925, heavy snow melt and weeks of rain sent 50,000,000 cubic yards of debris hurling down the slope of Sheep Mountain in the Upper Gros Ventre drainage at 50 mph. The slide blocked the Gros Ventre River, and formed a five-mile long body of water known as Lower Slide Lake. In 1927 this earthen dam gave way in a violent flood that inundated Kelly and sent flood waters as far as the base of Teton Pass. 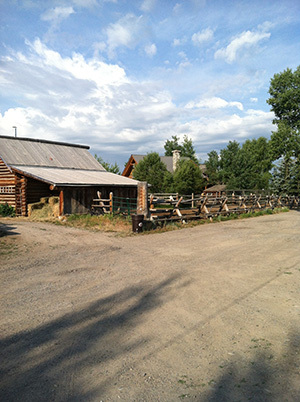 The result of the Kelly flood was that Teton County’s town center was moved to its present location in Jackson, and Kelly became a sparsely populated, unincorporated town. Today Kelly’s post office and small elementary school are surrounded by an eclectic mix of homes that range from quaint log homes overlooking the Gros Ventre River to domed yurt tents on leased land. The elevated buttes to the south and east of Kelly offer large-tract homesites which provide breathing, elevated views that encompass every major granite spire of the Teton Range and make them appear eye level. Heading east from Kelly, the Gros Ventre River Road take you “up into the hills” where large tract ranches are as likely to serve as guest ranches as they are private retreats. Access to this area can be tricky in winter months, with over-snow vehicles being required beyond the termination of plowing at Lower Slide Lake. As the common theme to inholding properties is a desire for remoteness, and not housing style, types of homes in this market segment can range from modest cabins to multi-million dollar retreats.